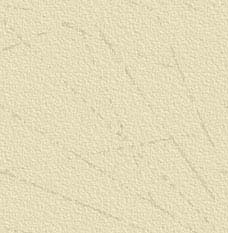 Hildo's werk: MCS 2015 press releases! Leesvoer ter uwer informatie & vermaeck! 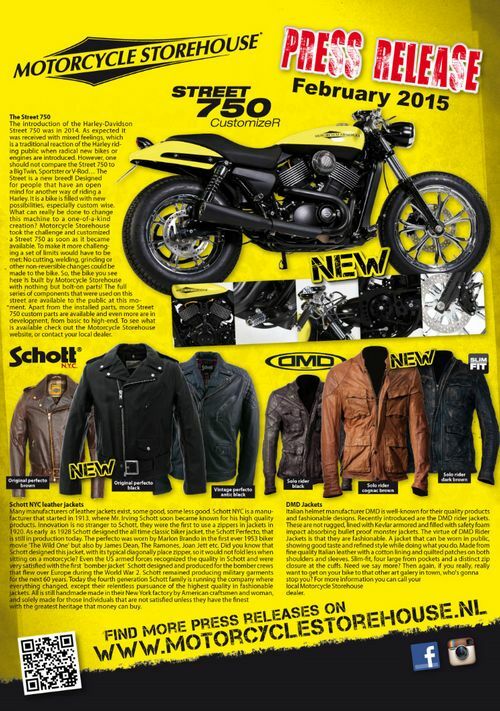 Alle Motorcycle Storehouse press releases van 2015 op een rij. Enne, zelf kijken wat de meest actuele stand van zaken is in het MCS product palet? Hier gaat u naar de Storehouse website. All Motorcycle Storehouse 2015 press releases lined-up. Wanna have a look to see the latest and greatest in the avalanche of new MCS products? Here's your link to the Storehouse website. EMD - Rockin' the Kings of Custom! Esteves Motorcycle Design, or EMD for short, is a French designer / manufacturer that proudly makes it’s products in France, Europe. Sand-cast aluminum in a sand blasted old-time look is something we've seen done before but the style, class and quality of the parts is something what will undoubtably rock the highest acclaimed Kings of Customs right down to their bones. 'Killer Parts For Your Iron Horse' is the company phrase and the metamorphose even a stock bike can undergo by replacing some parts with EMD components is unbelievable. These are true Killer Parts indeed, with a bad to the bone authenticity that is hard to find elsewhere. Parts come packed in an ammo box style wood shipping chest for style and, obviously, protection during shipment. Typical parts produced by EMD are primary covers, transmission end covers, cam covers, rocker boxes, headlamp housings, wheel inserts, Bombshell triple tree sets for 39mm and 41mm tubes and even an air cleaner housing for CV and fuel injected bikes. Most products are available for late model H-D's like Softail, Dyna, Touring and Sportsters in a variation of finishes like 'Raw', 'Semi-Polished', 'Black' and the high contrasting 'Black-Cut' version. Check out your Motorcycle Storehouse dealer to see what could become your highway to the pinnacle in retro. You want to own something exclusive and retro? Then you're on one track with the Biltwell Boys! Straight from the woods are a series of brand new Limited Editions of the Gringo (full face without visor), the Gringo S (full face with visor) and the Bonanza jet helmet. Of each model 4 versions of these classic 70's style helmets are made and they will remain in production for a limited amount of time. Ofcoarse without EC approval since that would give ultra large helmets, not at all looking like something from the 70's. However, they do meet the American safety standards of DOT, which means they are approved in the USA for use on 'public roads & highways'. So, if the 70's is your goal, you'll already be half way when you visit your Motorcycle Storehouse dealer. Many exhaust manufactures exist on our planet because custom thrives. More than a few are excellent products that are worth every penny but some lift way above the mass. What if a name like Arlen Ness, the Grandmaster of Customizing himself, teamed-up with a automotive performance manufacturer with name like MagnaFlow! Holymoly, we hear you say, and that's about what we said. If magic exists, this is the place where it could happen. Upon inspection of these systems one can be nothing more than impressed, with a slight humble feeling over the talent with which these systems were build. Available as slip-ons only, 2-1 and 2-2 systems and complete crossover sytems. All are available in 'Bad to the Bone Black' or in 'Where Are My Shades Chrome'. Slip-ons are available for 07-15 Softail, 08-15 Dyna, 95-15 Touring and 04-15 Sportsters. Most complete exhaust systems are available for 96-15 Softail, 06-15 Dyna; 95-15 Touring and 04-15 Sportster. For those interested in the technical aspects,you can rest assured: All are designed to increase performance with a deep, rich sound. Check out your local Motorcycle Storehouse dealer for more information on the end products of this collaborative partnership between these two big names in the Industry. If you own a bike you know it is important it performs and runs well. For many there are more things to life than the pinnacle of performance. Things like, beauty, style and even art. When cruisin' down the road, like say on your stock V-Rod or Sportster, fair chance you'll find plenty of horses to play with but for some the Factory Bike looks are debatable. For those Austria based manufacturer Cult-Werk comes in with a full programme of high end great looking products to lift V-Rod and Sportster looks to previous unimaginable heights. Mind you, we are not talking extreme full customizing jobs and you will not be required to do any permanent modification. It is mostly simple installation work of smartly designed covers that will suggest a full customizing job... at a fraction of the price. Cult Werk says that all components are absolutely high end and will offer Factory-like fitment and installation ease. In most applications strong ABS plastic is used, which is already smooth and usually just requires a small sanding, if at all, to be ready for paint. ABS parts are strong and much more form consistent and controllable than lower cost fiberglass components. This allows a much higher precision in the production process, correctly placed pre-drilled mounting holes complete with hardware when required, and overall great fitment and installation ease. Products include V-Rod headlamp fairing kits and lowering kits, front fenders, rear wide fender kits, shorter rear fenders, gas tank cover sets, license plate holders, ram air intakes, lockable gas cap, fork cover kits, rear axle cover kits and so on. For Sportster Cult-Werk has parts including front & rear fender kits, air cleaner housings, head lamp grills, gas tank lift kit, etc. For more information rub shoulders with your local Motorcycle Storehouse dealer, he'll be able to provide you with all the necessary information on Cult-Werk. 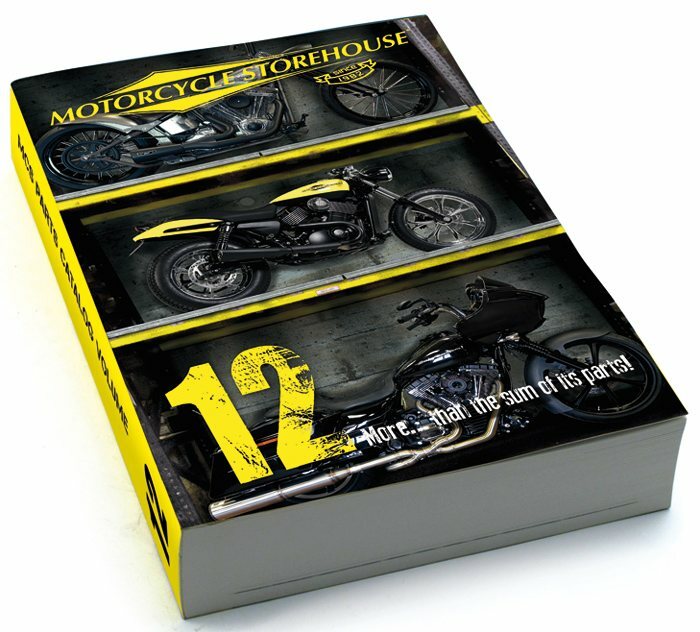 Motorcycle Storehouse Proudly announces the 12th edition of their Master Catalog, expected to be released in the first part of May 2015. Volume 11 was called epic, for Volume 12 Motorcycle Storehouse ran out of superlatives. It is a must-see production, with 8000+ new products, 3200+ new photos on a total of 1760 pages. It is the largest catalog in the Harley-Davidson aftermarket industry today with the finest and latest products of virtually all major manufacturers on the planet. Offered is a complete product palette, from show to the toughest hard-core tech components, including 2015 model year fitments. 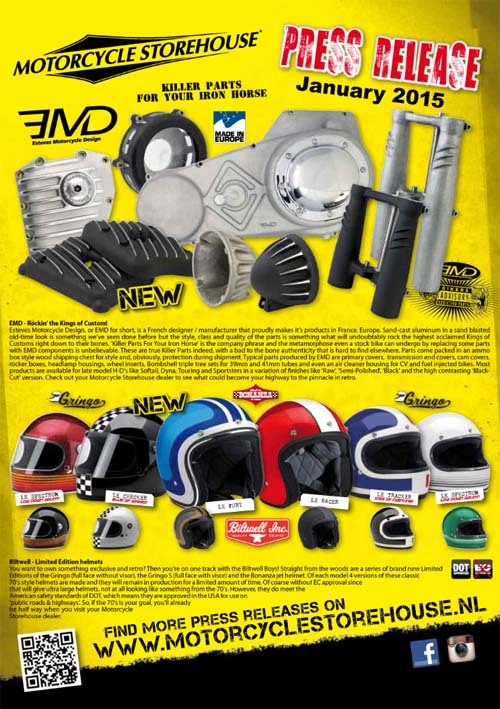 If you're ready to meet the brand-new MCS Master Catalog, talk to your dealer or look for the on-line version at www.motorcyclestorehouse.nl. Many manufacturers of leather jackets exist, some good, some less good. Schott NYC is a manufacturer that started in 1913, where Mr. Irving Schott soon became known for his high quality products. Innovation is no stranger to Schott, they were the first to use a zippers in jackets in 1920. As early as 1928 Schott designed the all time classic biker jacket, the Schott Perfecto, that is still in production today. The perfecto was worn by Marlon Brando in the first ever 1953 biker movie 'The Wild One' but also by James Dean, The Ramones, Joan Jett etc. Did you know that Schott designed this jacket, with its typical diagonally place zipper, so it would not fold less when sitting on a motorcycle? Even the US armed forces recognized the quality in Schott and were very satisfied with the first ´bomber jacket´ Schott designed and produced for the bomber crews that flew over Europe during the World War 2. Schott remained producing military garments for the next 60 years. Today the fourth generation Schott family is running the company where everything changed, except their relentless pursuance of the highest quality in fashionable jackets. All is still handmade made in their New York factory by American craftsmen and woman, and solely made for those individuals that are not satisfied unless they have the finest with the greatest heritage that money can buy. Italian helmet manufacturer DMD is well-known for their quality products and fashionable designs. Recently introduced are the DMD rider jackets. These are not rugged, lined with Kevlar armored and filled with safety foam impact absorbing bullet proof monster jackets. The virtue of DMD Rider Jackets is that they are fashionable. A jacket that can be worn in public, showing good taste and refined style while doing what you do. Made from fine quality Italian leather with a cotton lining and quilted patches on both shoulders and sleeves. Slim-fit, four large from pockets and a distinct zip closure at the cuffs. Need we say more? Then again, if you really, really want to get on your bike to that other art galery in town, who's gonna stop you? For more information you can call your local Motorcycle Storehouse dealer. The Dyna is the sportiest of Big Twins and the brand new Biltwell Challenger seats will bring out their hooligan genes better than most. The seats are basic, with hand sewn heavy duty vinyl covering and low enough to emphasize the uncompromised stripped down look. Still you'll find enough injection molded closed-cell polyurethane foam padding to keep you in the saddle all day long, with a minimum of pain. The vacuum formed ABS plastic pan comes with a steel tail mount bracket for quick attachment to the stock fender holes. Available with a smooth (MCS 942891) or vertical (MCS 942890) Tuck 'n Roll covering or, for the Do It Yourselfers, without any vinyl upholstery (MCS 942889). For more information on the latest Biltwell products, you can call your Motorcycle Storehouse dealer. If you own a 11-15 Sportster Custom, Forty Eight or Seventy Two you may have noticed that these bikes come with a rider footpeg that has a new style mount. Therefore the regular the male mount H-D style pegs, in which there is an enormous choice, will not fit. Luckily the Good News guys & galls from Motorcycle Storehouse have just announced they have a special footpeg adapter for the 11-15 XL1200C/X/V models. After installation of this bracket kit, available as 505501 (chrome) or 505502 (black), you will be able to install any and all regular H-D male mount footpegs. If you think the stock position of the footpegs is too close, go for the 2" extend brackets, available as 505503 (chrome) or 505504 (black). Check www.motorcyclestorehouse.nl or contact your dealer for any details you may need. Dat niet maar de specifieke door Hildo geschreven Press releases zullen wel ophouden te bestaan in de huidige vorm. Daarom heeft het weinig zin ze verder te plaatsen, online bij Motorcycle Storehouse vindt u alles.